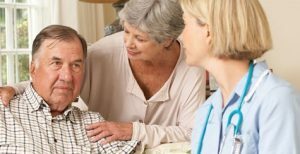 At Seniors Helping Seniors® in-home services we not only provide non-medical home care services, but also the full continuum of your skilled nursing needs. Bringing Love into the lives of Seniors with Dignity and RespectTM is our mission and we are here to serve. Let our licensed Home Health Aides (HHA), Certified Nursing Assistants (CNA), Licensed Practical/Vocational Nurses (LPN/LVN) and Registered Nurses (RN) provide the care you need in the comfort of your own home. ∗ Only Seniors Helping Seniors® offices that maintain a Home Health license may provide the aforementioned services.